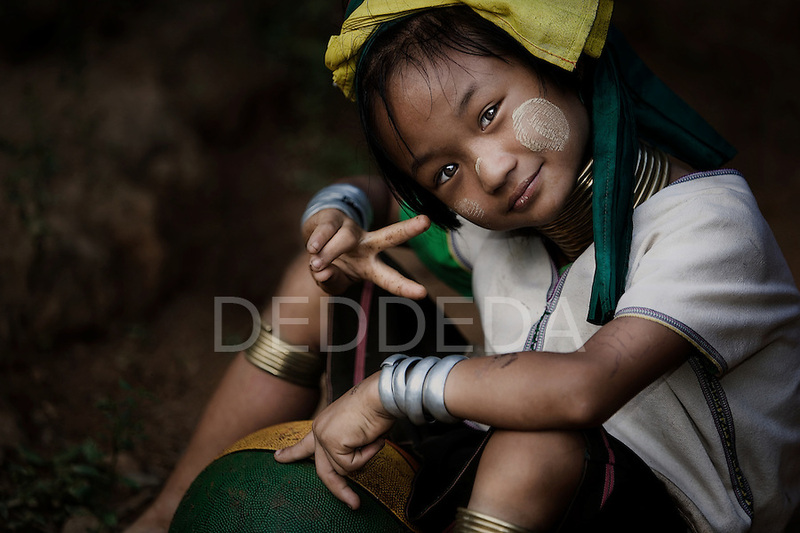 A young female member of the "long neck" Karen Tribe from Burma gives the "peace" sign. The Karen Tribe are Burmese refugees. This young girl was at her refugee camp near the Burmese (Myanmar) border near Mae Hong Son in northern Thailand.